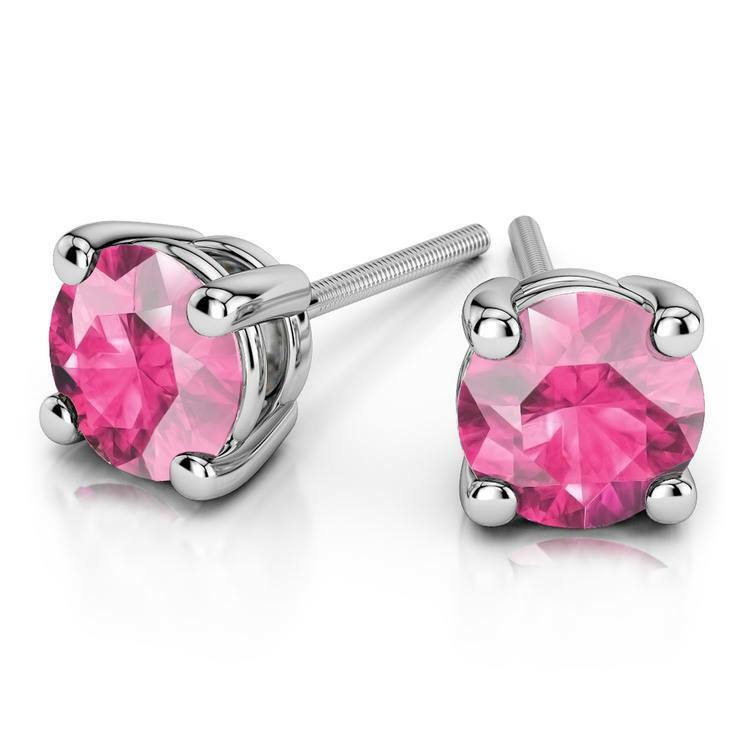 These engaging round cut sapphire gemstone stud earrings are held in a white gold four-prong setting. 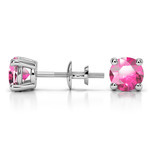 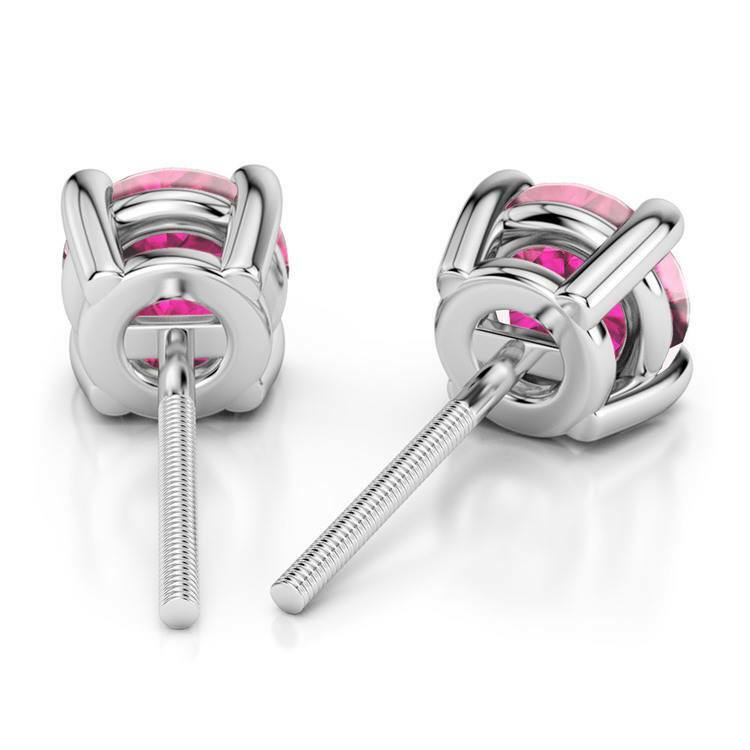 Each pink gemstone measures 5.9 mm, with an approximate 2 1/4 carat total weight. Proudly made in the USA.